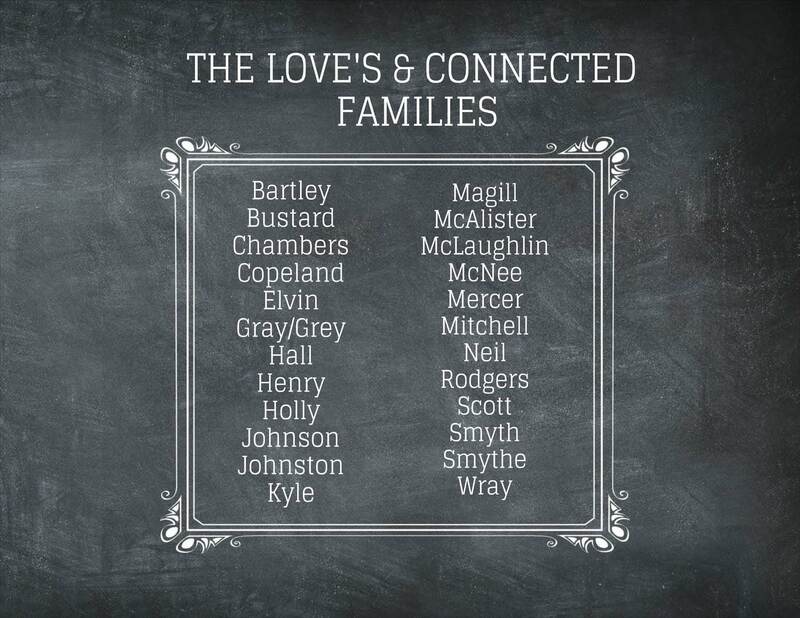 This is a partial list of my family surnames which I’m researching and the connected families who where brave enough to marry us! I’m presenting the family names in alphabetical order… no favouritism involved. Looking for my ancestors . In particular a mary O’Donnell born about 1920 came to Glasgow around 1938 and worked as a domestic servant in southbrae avenue jordanhill , bridge of weir . My great-great-grandfather, James Diver, was born in 1824 in Kilmacrenan, Co. Donegal. Son of Samuel Diver and Elizabeth. James’ siblings: William, Alexander, Thomas, and Ann Diver, all born in Kilmacrenan. James Diver married Sarah Jane Cheatley in 1857 in Kilmacrenan. She was from Dromore, Co. Donegal, born in 1841. Any connection to your Diver family? Hi Gail, the information that I can access quickly at the moment is: James Diver (father also James) married Martha McConnell in 1851. 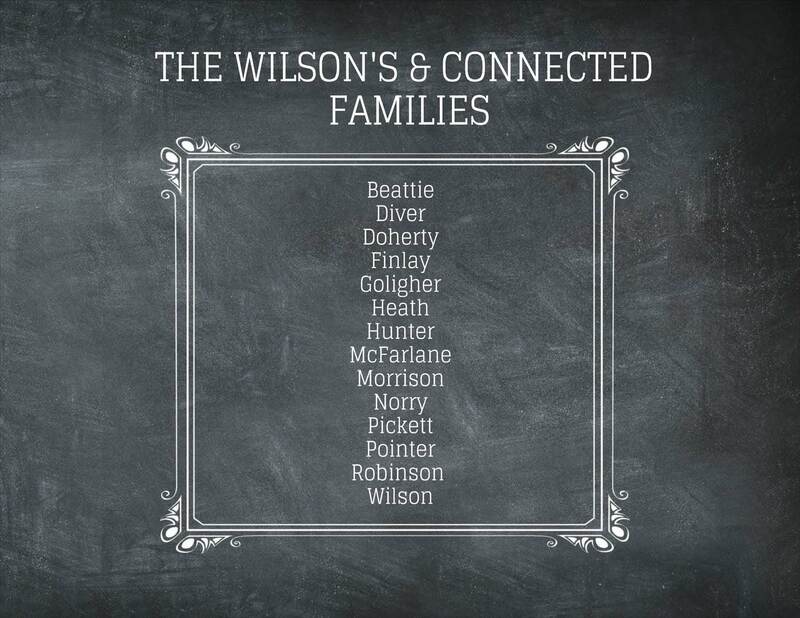 One of their sons, George William Diver; married my great grand aunt, Elizabeth Wilson. Elizabeth’s father Thomas was born in Burt, Donegal as was her mother Margaret Norry. George William and Elizabeth had several children. Their names were Thomas, George William (2 of them, one died young), James, Elizabeth, Mary Jane and Robert. We seem to have many of the same Christian names, which can sometimes be a clue. If you would like to check this out further, please email me at twistedlimbsandcrookedbranches@gmail.com. Thanks so much for getting in touch. Hi,Divers in Ardara Co.Donegal,they own a grocery store. I have limited information on my family. We show in some sketchy family records coming from Donegal on the west side and possibly from County Down on the east side. Have you seen anything on Wachob or sometimes spelled Walkup or Wachope? Hi Tom, it’s not a name I’ve come across before. However, I did a quick search in 1901 and 1911 census for all three spellings of the name. In 1901 I found nothing; in 1911 I found a David Walkup, a farmer; living in 4 Clare Upper, Co. Tyrone. So, we’ve at least one reference to your name in Co. Donegal. If you would like me to look a little further; please send me an email at twistedlimbsandcrookedbranches@gmail.com. Hello Colleen. In your list of twisted limbs & crooked branches, you mentioned Johnson & Morrison. Grasping at straws, I am looking for 2 people: One is Lawrence Johnson, dob July 27,1741 born in “England” somewhere & not sure emigrated to the United States, but before the “Boston tea party”. Hi Colleen, I have the McKee name in my family tree. I believe they were from Donegal like my Hammond family. Jane McKee b. abt 1814 in Ireland married John Hammond b. abt 1811 in Ireland. They came to the U.S. in 1851 with their children, James, William, Thomas and Ann. The McKees also came over around the same time. Charles McKee b. abt 1811 in Ireland married Sarah “Sally” Flood b. abt 1820. They had Rebecca Ann b. abt 1844 in Ireland who married William Hammond b. abt 1831 in Ireland, William Mckee, b. abt 1847 and Matilda McKee b. abt 1850. Hi Brenda, your names don’t ring a bell. However, I do have a Molly Gilmour who married a gentleman named Hill Hammond. I haven’t gone much further with that line. She is my 4th great uncles (Hendren) sister in law. 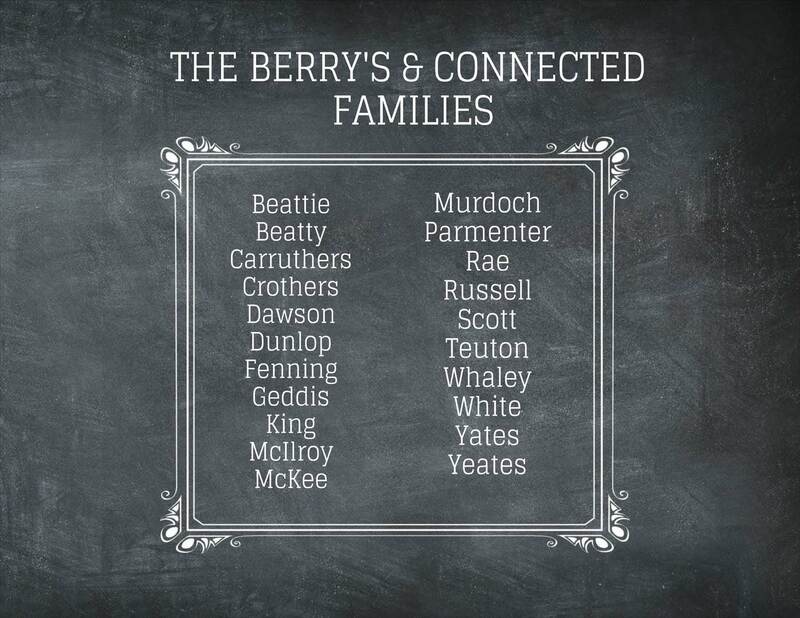 The McKee’s are connected by marriage to my Berry family. They are predominantly from Co. Antrim & Co. Down. The McKee family originated in Sligo. If anything rings a bell please get back in touch. Thanks for contacting me. My great grandparents were married in Lisburn Cathedral. they were Jane Gordon and Samuel McNeice. Any connection to your Gordon family? I saw your link on Facebook (Antrim is one of the pages I follow). So I checked out your page & see that we share a number of family surnames. Berry: you list Carruthers (I have a Carrithers; close); Dunlop (I have Dunlap, same house); and McKee. My McKee’s married into the Walkinshaw’s. 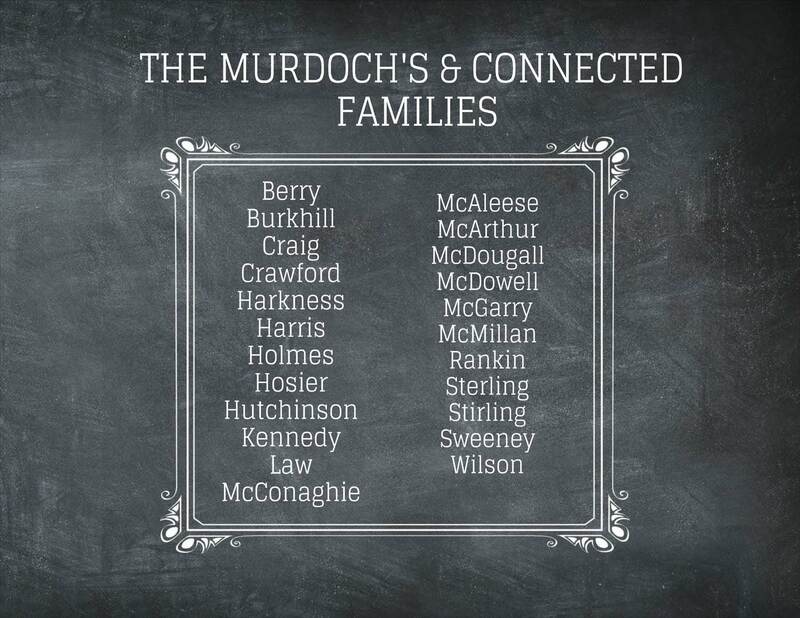 And my 3rd great uncle’s middle name was McKee (Robert McKee Glasgow). Love: My 2nd great grandfather was James Love Glasgow. I initially presumed Love was to honor a local Presbyterian minister (Londonderry, Guernsey County, Ohio). But it crops up in my other families also as a middle name, so I wonder whether there is a deeper connection? I also have Gray’s (John Gray married Jane Glasgow in Colerain, before 1830, and later settled in Kentucky). And my 3rd great grandmother was Jane Neill, which makes me wonder about your Neil’s. According to her obituary, Jane was from Portglenone. Murdoch: I see you have McDowell. I have McDowell’s who married into Moreland, Dunlap, & McAdam. Scott: You have McKeown. Alexander McKeown married Rosanna Glasgow (my 4th great aunt) in Antrim about 1819. We probably need to compare notes! 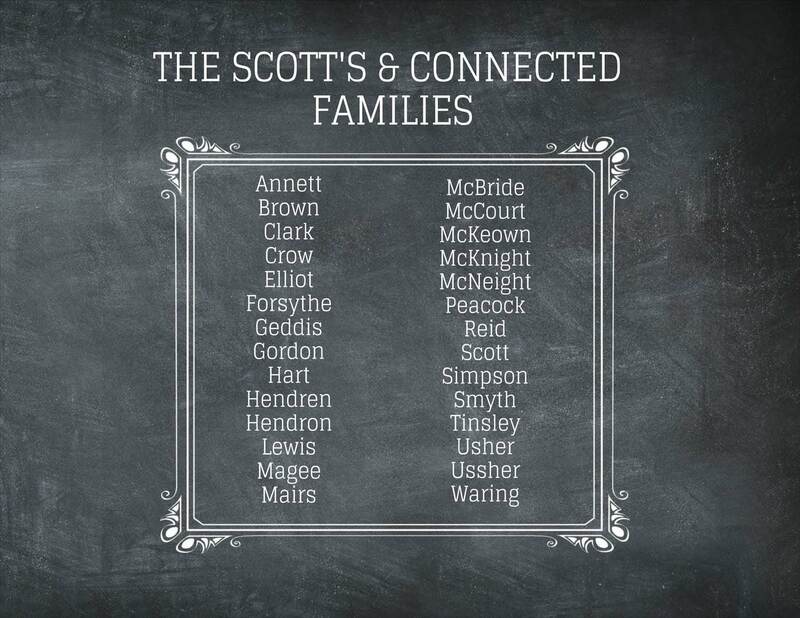 Hi Robert, I am a descendant of the LOVE family in Northern Ireland as well as Templeton Gray who settled in the US. Perhaps we have a connection? My John Gray, b. 1798; married Jane Glasgow in Colerain. At least before 1836. He may have been from Townland Cornasoo, Parish Killmore, County Monaghan, Northern Ireland. Settled Ohio initially, then on to Kentucky. Hi Colleen Jane Gordon was born Nov. 10, 1850 in Colin. Daughter of Robert and possibly Christina. She married Samuel McNeice in Lisburn on Feb 1, 1871. She died on Oct. 10, 1929 in Belfast and is buried in Dundonald Cemetary . Hope this info is helpful.